BOSTON – August 2, 2018 – Beacon Health Options (Beacon), the nation’s leading behavioral health services company, announced today that Sherry Dubester, M.D., has been named Executive Vice President and Chief Medical Officer, effective immediately. In this role, she sets the roadmap and vision for Beacon’s clinical strategy and policy, as well as heads the company’s quality management program. She brings nearly three decades of experience in clinical strategy development and opioid management and treatment to Beacon. Most recently, Dr. Dubester led Anthem BlueCross BlueShield’s EAP and behavioral health and clinical programs. Dr. Dubester joined Beacon from Anthem BlueCross BlueShield (Anthem) after an 18-year career with the national health plan. Her most recent role at Anthem was Vice President, Health Solutions, responsible for commercializing a range of health products. Previously she served as Vice President, Behavioral Health and Clinical Programs, overseeing end-to-end management of Behavioral Health and EAP for more than 19 million commercial members. Earlier roles at Anthem included Regional Vice President and Medical Director for National Accounts and Staff Vice President, Clinical Strategy and Product Development. Prior to joining Anthem, Dr. Dubester was Executive Medical Director of Behavioral Health Services for Glens Falls Hospital in upstate New York. She began her career at National Jewish Health in Denver, where she led inpatient psychosocial services. Dr. Dubester earned her medical degree at the University of Pennsylvania. 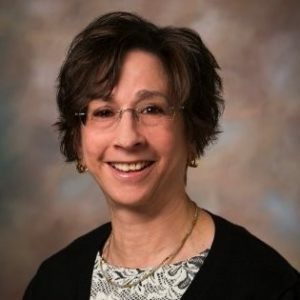 She completed her psychiatry residency at University of Colorado Health Sciences Center and a master’s degree in Administrative Medicine at the University of Wisconsin-Madison.